It’s so easy to get into an exercise rut, hitting the gym on the same days every week and doing the exact same workout over and over. Humans are creatures of habit, so there’s something comforting about knowing exactly what you’re going to do and when you’re going to do it. That’s why we hate to break it to you, but your tried-and-true go-to workout is probably working against you, keeping you from losing weight or making strength gains. Yes, yes, it worked wonders for you when you first started doing it three years ago, so we wish we could say it ain’t so. However, even though it’s in your nature to find a comfort zone and stay there forever, it’s in your body’s nature to crave variety. Changing up your workout will benefit you in numerous ways. Along with balance exercises, your workout should include strengthening, aerobic conditioning, and flexibility exercises. …and guess what? Your body needs them all. Strength training builds muscle to support your skeleton and to provide the power to lift, push, and pull. 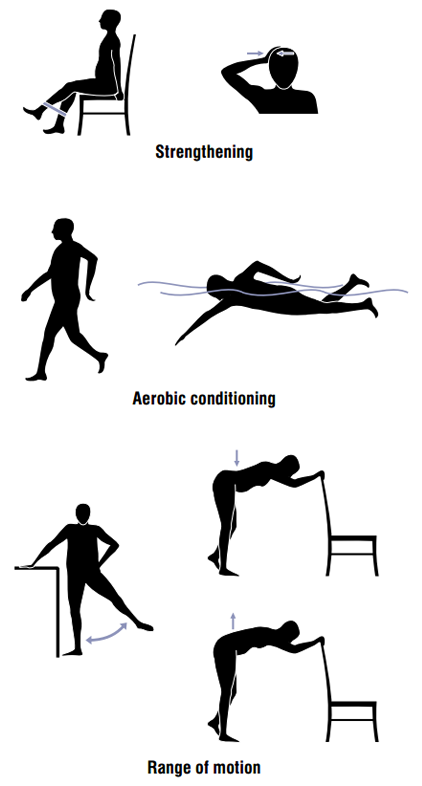 Aerobic or cardio exercise keeps your lungs, heart, and circulatory system healthy and in working order. Flexibility training keeps you limber and stretches your muscles for a wide range of movement, and it helps avoid injury. And balance or stability exercises help you maintain control over your movements so you can perform common activities like walking across the room without falling over. The really good news is that many exercises overlap so, for instance, even though resistance training focuses on building strength, it can also help you develop better balance. You can even intentionally perform a workout to cover multiple bases, such as resistance training at a fast pace for a HIIT workout to get your strength training and aerobic exercise in one shot. An example of a comprehensive and well-rounded exercise regimen could include boxing, aerobics, and Pilates. Your body is a master at adaptation, meaning that it can get used to even the most challenging workout routine. Mixing up your workout challenges your body so it and you are less likely to adapt to and get bored with your routine. Plus, not knowing what to expect keeps your body on its toes, so to speak, so you won’t plateau as often or, if you do, you’ll be able to push past that stagnant level to see results faster. OneLife Medical points out that changing up your workout will give various parts of your body a break to avoid overuse injuries, too. What’s more, different exercises burn different amounts of calories so, rather than wandering aimlessly between exercises, you can intentionally choose workouts to address the calorie burn you want or need at any given time. Weight training, TargitFit classes, kickboxing, aerobics, yoga, Pilates, rowing, Tai Chi, and a myriad of different outdoor activities including rock climbing and mountain biking. It can be overwhelming to decide between so many different exercises and types of workouts, but you don’t need to do them all. Pick a handful that interest you most and give them a go, but do try to make sure that, between them all, they address the four types of exercise. Once you’ve tried several, you can pick three or four you like the best and that your body responds to the most. 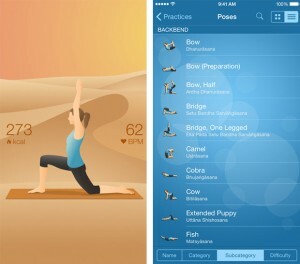 Fitness apps are useful additions to workouts. They offer a variety of exercise alternatives and can help keep you on track no matter what your schedule is. In an interview with Shape magazine, Kate Hudson revealed that, though her body responds best to Pilates and she loves doing it, her workout regimen also includes biking, walking, and boxing. Additionally, because she travels so much, workout apps are her secret weapon to keep exercise in her schedule no matter what else is going on in her life. Hudson favors QE2, Hot5, and Sworkit, but there are tons out there and more being developed every day. Don’t want to wade through the entire vast lot of them? That’s OK. PC Mag did the homework for you and came up with a list of the 25 best ones. Bonus–many of them are free. This entry was posted in Uncategorized on June 2, 2016 by Lisa. What? Lose Weight Eating Carbs! Getting in Shape at 50: What’s Your Motivation?